Childhood is the critical time to look after a child's health. Untreated childhood vision problems are associated with poor social, economic and academic outcomes. Most vision problems are treatable and are diagnosed during an eye exam with your optometrist. Don't let childhood vision problems grow up to be adult issues. A 2011 study published in the journal,Pediatrics, found that in addition to refractive errors that can be corrected with glasses such as myopia and astigmatism, ocular disorders like strabismus (eye-turn, cross eyes) and amblyopia (lazy eye) that occur in infants, toddlers, and children may present lifelong problems for the child. Strabismus and amblyopia require more intense treatment such as vision therapy or surgery. 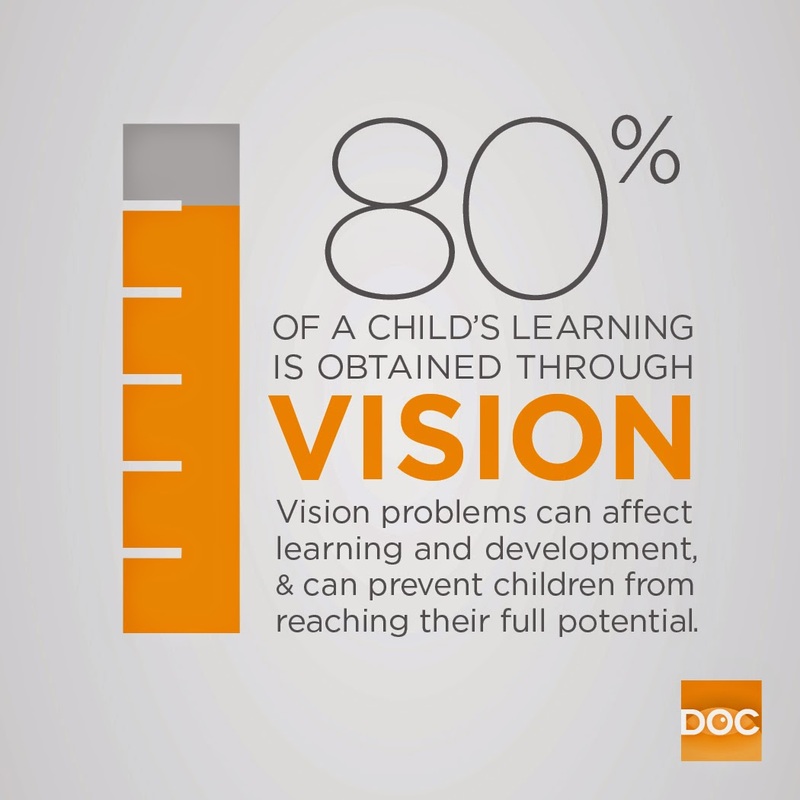 Here is a nice childhood vision infographic by Doctors of Optometry Canada. 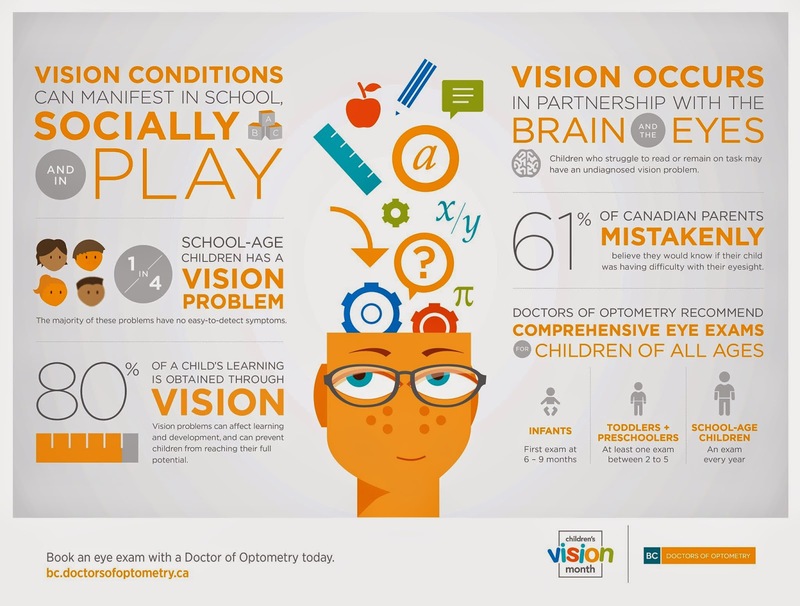 In honour of Children's vision month, here is a nice infographic from Doctors of Optometry Canada . To learn more about vision and learning click here.